Christmas is one of my favorite holidays, and I look forward to the holiday season every year! The Christmas lights and bright colors just say Christmas! We love to make our door festive and bright for the holiday season. It is so welcoming and a great way to greet guests as they enter our home. They are so easy to make and much cheaper than store bought! With so many ideas, you are sure to find several you want to make this year. Once you learn how to make homemade wreaths, it is so much fun! You will have a blast learning to make your own Christmas wreath! 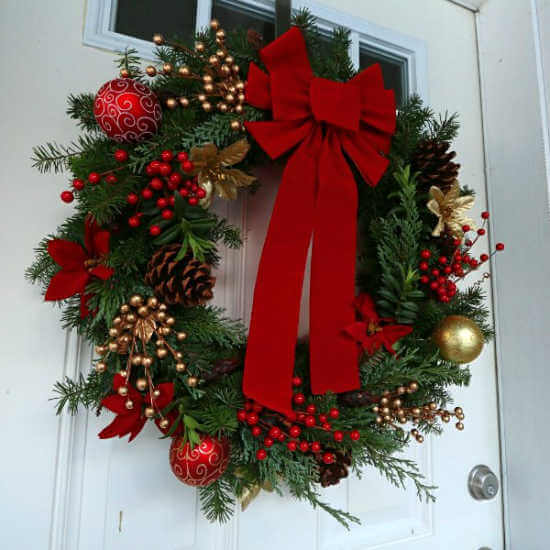 These Christmas wreath ideas for your front door will make your home festive this holiday season. 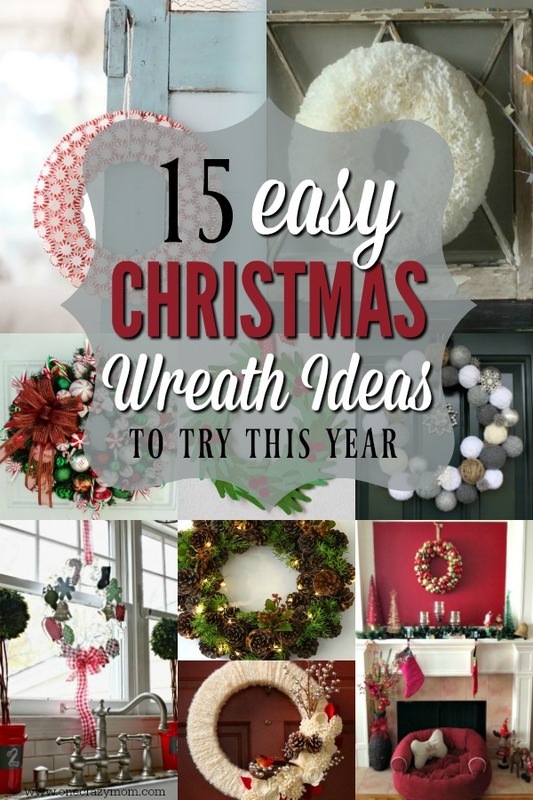 Some of my favorite ideas include adding a candy cane or making an ornament wreath. 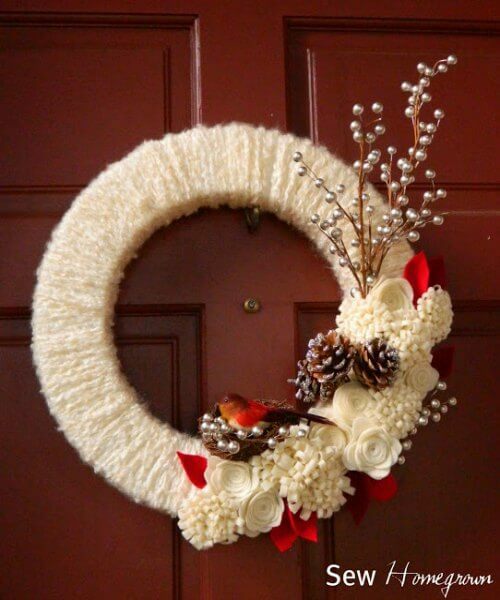 These should have you well on your way to starting these wreath ideas for front door. 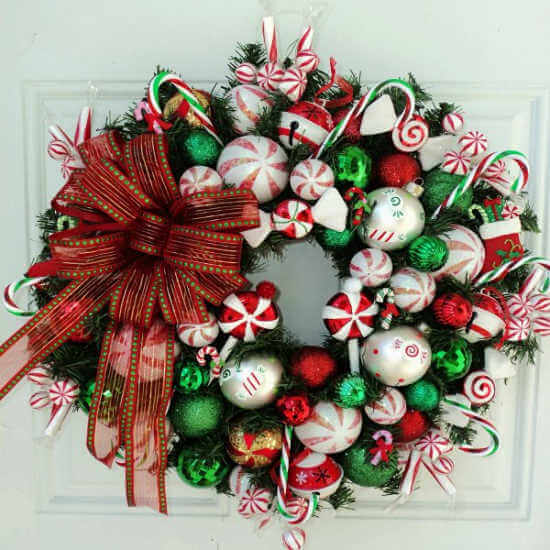 Let’s get started with these Christmas Wreath Decorating Ideas. 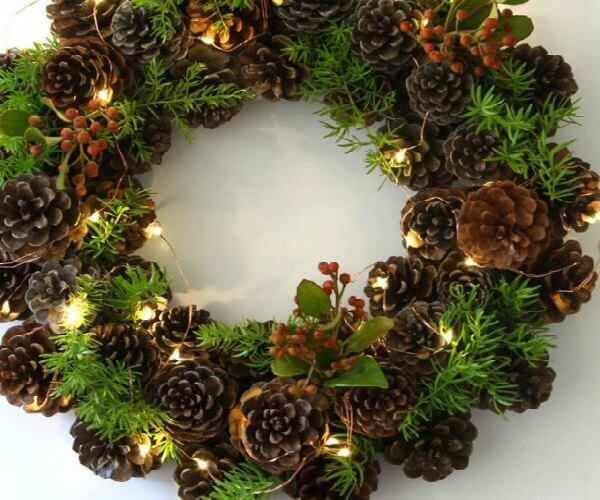 Collect a bunch of pinecones from the yard and add them to a wreath with twinkle lights. You will be amazed at how beautiful this turns out with very little work. 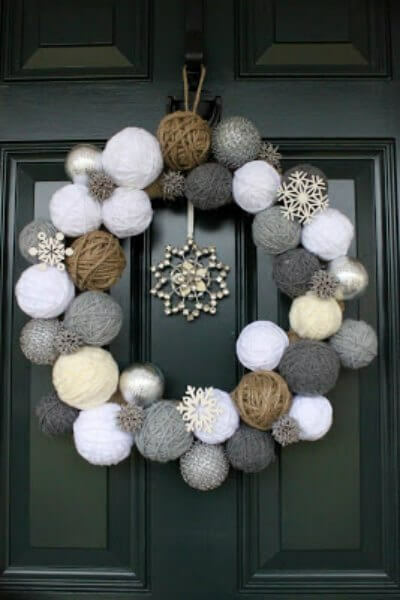 Use an assortment of twine and yarn balls to make a gorgeous snowball wreath. 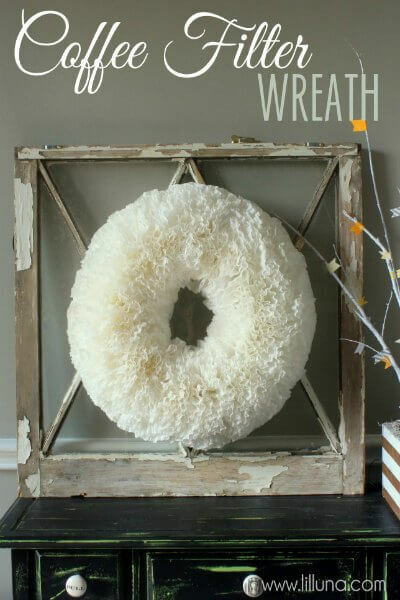 The beauty of this DIY wreath idea is it can be used in January too! Get the kinds involved and use handprints to form a beautiful wreath for Christmas. This is a precious keepsake to remember how small the kids were. Use ornaments to make a wreath that is festive and gorgeous for the Christmas season. 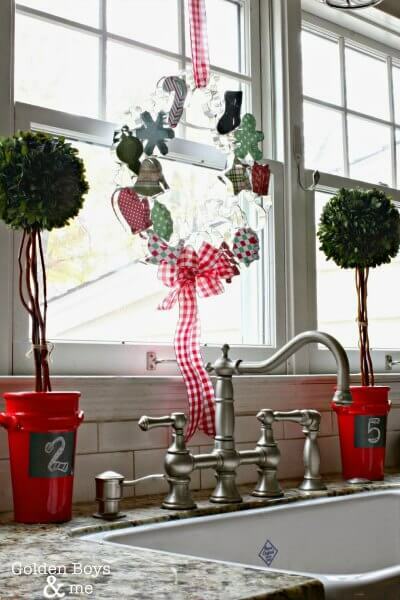 This is a great way to use ornaments you have an excess and don’t use anymore. 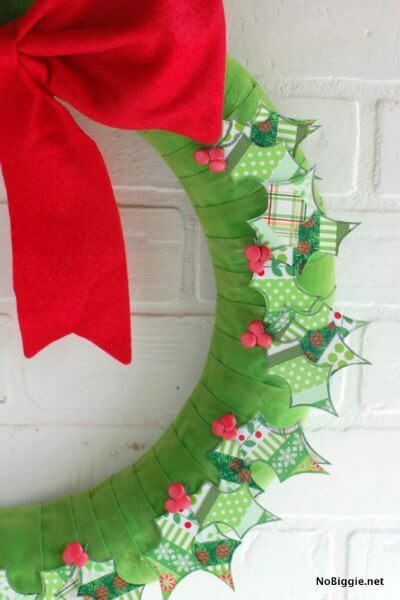 Jazz up a plain wreath from with washi tape. 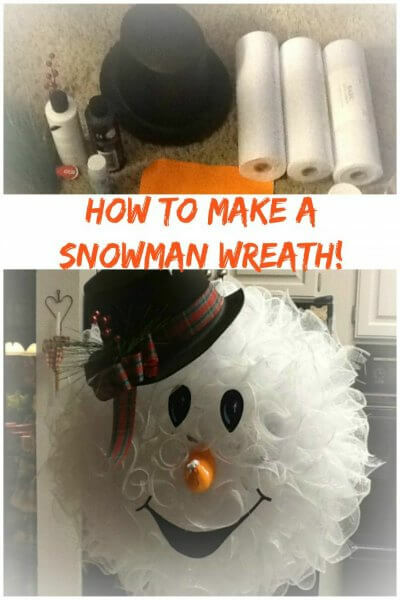 This is so simple and also kid friendly if they want to help make this wreath. 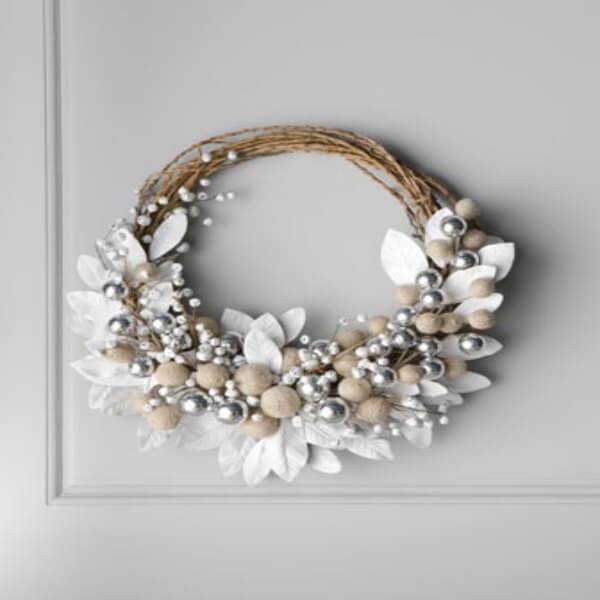 There is something so pretty and classic about a white and neutral tone wreath. It goes with any type of decor and looks simple yet elegant. Use greenery to make a DIY Christmas wreath with berries and more. Use what you have at home for an easy wreath idea. 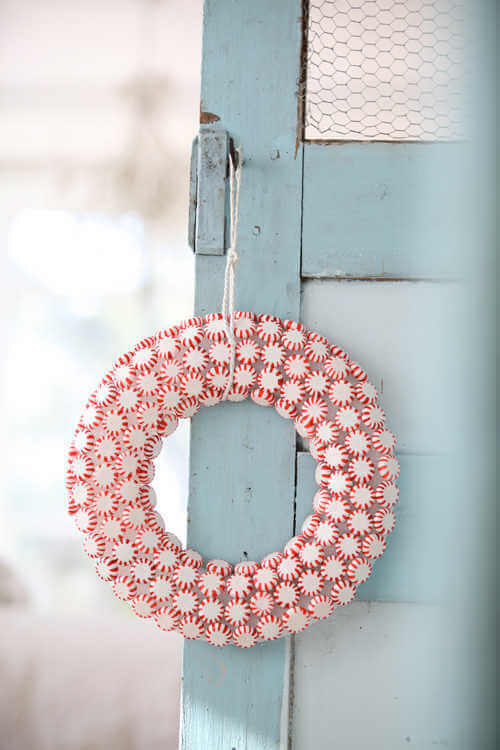 Peppermints are so inexpensive and make a really fun wreath. Use a pretty ribbon on the wreath to add a special touch. Grab your coffee filters to make a wreath that looks full and beautiful. You will be amazed at how this looks from just a common kitchen item! Deco mesh is so popular and makes the most fun wreaths. With just a few supplies, you can make this easy snowman for your front door. 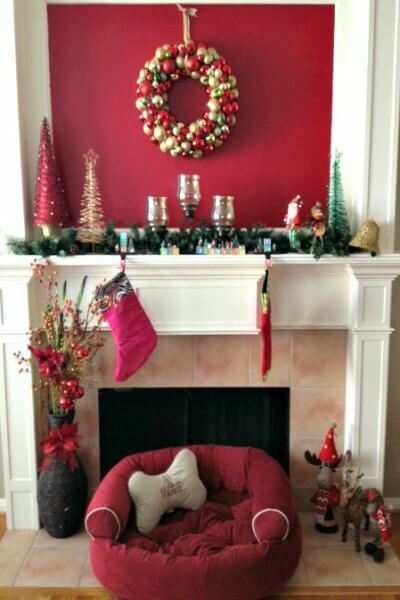 Lots of neutral colors with a hint of red make this wreath a festive focal point for your home. You could easily switch up the colors to suit the decor in your home. Ornaments and pretty Christmas bows make such a stunning wreath. You could also easily add a string of lights to this wreath for an extra special touch. 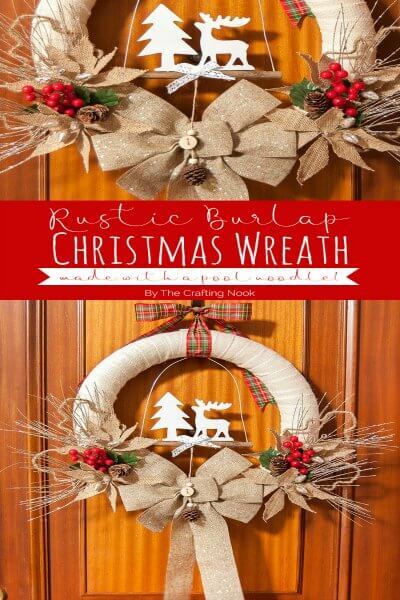 Burlap gets wrapped around a wreath for a rustic and simple wreath perfect for the holiday season. Add a touch of greenery or red berries for a splash of color. 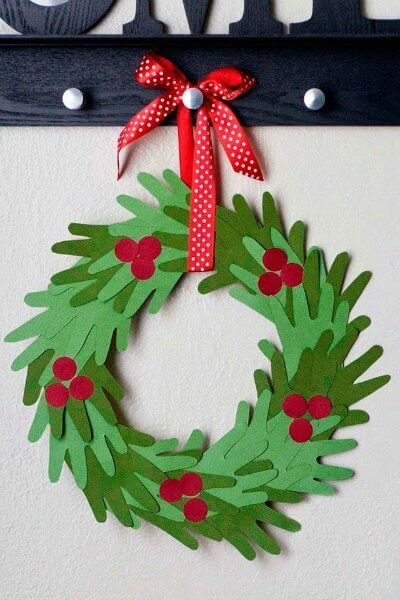 Use old cookie cutters to make a Christmas wreath. No need to buy expensive supplies when you can make an adorable wreath like this one! 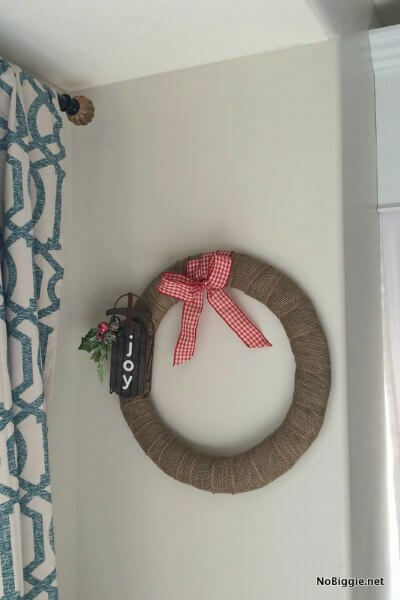 Grab some burlap ribbon and cover a wreath form to make a beautiful wreath. This can easily be used for many different seasons by switching up the embellishments. 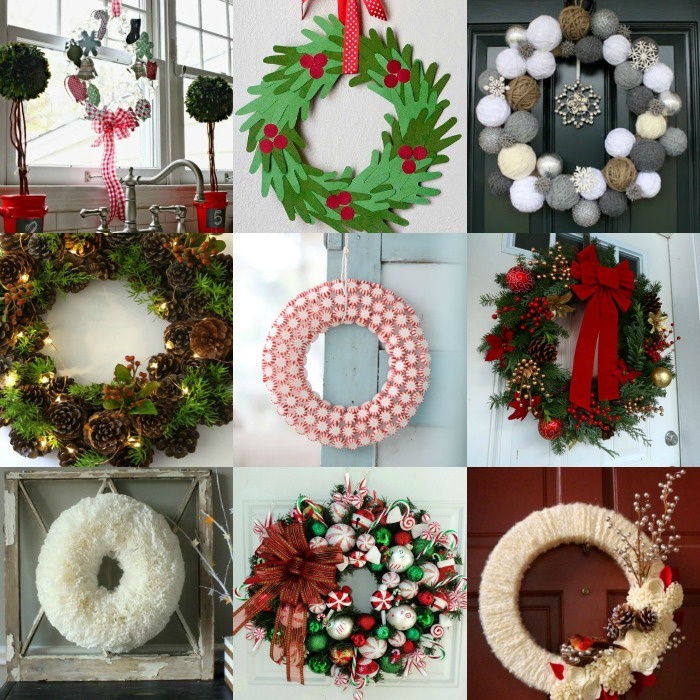 Which of these Christmas wreath decorating ideas do you plan to try? DIY wreath ideas are so fun and frugal to make. Now that you know how to make a Christmas wreath from scratch, it is so simple! No need to look for Christmas wreath ideas pinterest when you have so many simple and pretty ideas here. We enjoy Christmas wreath making each year! Make it a tradition and see what type of Christmas door wreaths you can create each year. Find 20 easy Christmas centerpieces ideas that are easy to make and budget. This is a great way to make your table festive for Christmas dinner. You can also make DIY Christmas garland that is so pretty and perfect for the mantle or anywhere you need a festive touch. Plus, it’s so easy to make even the kids can help. It is such a special time of year and these are thing things memories are made of. Don’t get caught up in making it all perfect. Just enjoy these special times with family and friends. Get the kids involved and make lots of awesome memories sure to be remembered for many years to come!